Harwich Runners Forum / Triathlon Training Notes for the Harwich Tri. » Triathlon Training Notes for the Harwich Tri. Triathlon Training Notes for the Harwich Tri. 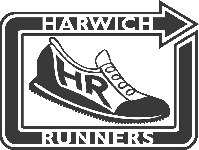 Graeme has created a new page on the Harwich Runners website that myself and others will update with training tips and guidance for those of you who are taking part in their first multi-sport event. It is not intended to be a bible on how to prepare for an event, but general information about how to prepare for the big day and what aspect of the training to concentrate on during each particular month. My aim is to update it at the beginging of each month, with new goals and objectives each time. Re: Triathlon Training Notes for the Harwich Tri. Hi Dennis, I have had a look and this is really great so thanks to you and Graeme for setting it up. I have to say I really need a bit of direction with my training so this is just what I needed. On another note you mentioned a Triathlon in May - can you let me know which one it is as I have forgotten and have no idea what I should be looking out for. Hi Anna. The triathlon in May is Waveney 1 (near Lowestoft). This event fills really quickly. Last year in less than 2 days!. It is due to open for entries tomorrow on entrycentral.com. The date of the event is Sun 3rd May. This should be ideally suited to you as the swim is 400m and the run is only 3.2k (but a bit lumpy). Watch the website tomorrow and enter asap otherwise it will be too late. Hi Dennis, went on yesterday and today and can't see it am I doing something wrong? If anyone else is thinking of entering our sprint tri I suggest you do pretty quickly as roughly only 50 places left. Graeme, this is really useful, I have just created my 12 week plan to get started from Monday( taken from Runners World and then I have adapted it to suit me and what I can do on what nights and at lunch). Had not realised about the stroke counting as I always seem to lose track of time so this will really help in being able to measure my improvement. Just back from snowboarding this week and have had the most hectic week at work so no training this week. Going to get my Looks and shoes for the bike tomorrow so should be able to start getting the miles in. Have not forgotten about your chq and will bring it with me on Tuesday. Dennis, can you give me any tips on were to get a wetsuit and what sort I should be looking for please. Any other tips on how to do Bricks sensibly would be useful as most training plans say do 10 mins cycle then 5 mins run but to me that means having to keep changing shoes etc which would mean lots of breaks rather than continual training. Views welcome. If anyone wants me to share my plan I am happy to but have no idea if its any good or how I load it on the forum so help would be appreciated. Hi Anna. With respect to wetsuits you have two options. Firstly you can hire one from 53-12 (normally a few weeks before the event). If you only expect to do one open water tri this may be the most cost effective option. Otherwise the best long term option is to buy one. Ed at 53-12 is probably your best bet as it is possible to try the suit for size. Be careful if he hasn't your size in stock as it can take longer than expected to arrive in the store if Ed has to order. As to make / model I will chat next time I see you. Brick sessions are best left until nearer the race date. I will arrange several sessions nearer the time, which will involve longer bike~runs than the ones outlined in your training plan. It is likely my shift pattern will be changed soon so I will not have to work weekends. This means that I will be able to arrange regular training sessions for people like yourself. Hi Anna, I ended up buying my suit from triuk. They were very helpful about sizing. I had been to Ed and gave up the will to live waiting. Triuk were running a system whereby you could hire for the season 9 end of Sept) and then return (Â£25, I think), or buy the suit for Â£99. I ended up buying mine. Its a Foor Quantum. It was sent on the basis that I could try it out in the pool and return it if it didn't fit. I didn't find a better deal at the time, but have noticed others running a similar scheme since. Thanks for the info re the wetsuits, I definately think that Elspeth yours is probably the way to go for me for my first attempts this season. Hi Anna, currently uploading files is not possible. If you send me the file I'll upload it for you. If its a feature folks want I'll build it in. Anna - did you get my recent email about swimming?